Hello and welcome to SunTag! Thanks so much to Louise at @ geniereads for nominating me for this fun tag. Go check her blog, you won’t regret it! Officially, I don’t have a nightstand.. I use an old wastepaper basket turned upside down with a lamp on it. You know what they say, student life is all about having no furniture and eating pizza or pasta every night. But my iPad is next to the bed, and it currently contains 40 books. Nope, I am not listing them. 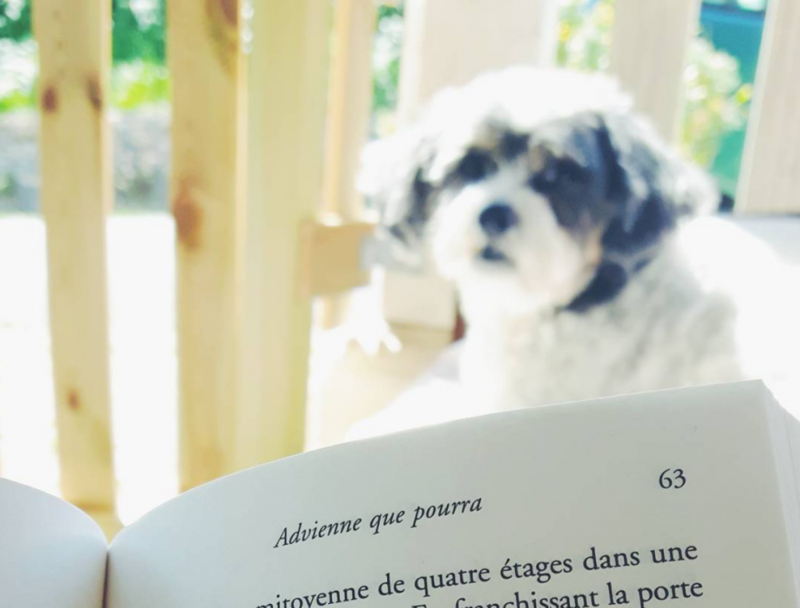 I finished The Little French Guesthouse earlier this week, and let me tell you, if you can’t afford the travel to France, this book will take you there. It transports you right in the middle of the French countryside to enjoy a few weeks with warm and funny characters. You get all the benefits of the trip, without the stupid mosquitoes, the rude French drivers and the language struggle. I must thank Helen Pollard for reminding me holidays can be so good and change your life. That is how great this book is. Okay, a couple of months back, I answered that question by saying I was never really interested in meeting authors. 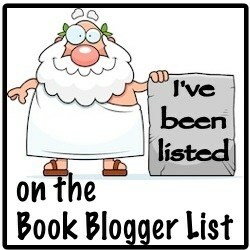 But now that I have been book blogging for a while, I realize how such a meeting could be awesome. I would probably bore them with stupid questions, I have never been great at asking things, but when I truly love something, I want to know everything there is to know. I won’t give names but I have changed my mind about the subject. One step at a time! I own some mangas, both in French and in Japanese, from the time I thought it would be fun to read this format. I never got used to it, but I kept them as souvenirs. I don’t know if I should blame the format or the actual stories for my lack of interest. We never got along. Like any proper control freak. I don’t have any bookcases or bookshelves yet (work in progress!) but I use the upper part of my old desk to store my books. I cannot wait to get them a proper home. Until that happens, they are perfectly aligned 5 centimeters away from the edge, and in alphabetical order by author. I have always wanted to read all of Shakespeare’s work. But it is a very intimidating challenge. I studied A Midsummer Night’s Dream in English Class, and Romeo and Juliette in French version in high school, and I remember it being pretty hard. Don’t assume the French version was easier, my teacher was a witch and put all those crazy meaning and metaphors in my mind that kept confusing me. Anyway, I am very curious about everything I haven’t read from him but the difficulty of the language makes it hard for me to really enjoy it yet. Now that I think of it, that would make a great summer challenge. A Shakespeare Summer! I’ll think about it … next year. Still a little too intimidated. I had heard so many great things about We Are All Completely Beside Ourselves that I was absolutely sure I would love it. Boy, how wrong was I! Annoying characters and a story both weird and boring. I wanted my money back but the bookstore was not okay with it. I love dissecting human relationships so I am happy whenever a book explores what happens when you throw people in a certain situation that forces them (and me) to feel strong emotions. But I guess that describes every good book in some way. More specifically, I am thriller fan. Psychological thrillers are my favorites. Do you see that gloomy book on the floor? Yes, the one hidden by the big plant and the candles. The one whose cover yells “I am a sad story”. Well, I am never reading this book. I like to stay as far as bookishly possible from anything that would make me cry. Of course, sometimes a story takes me by surprise and I end up in a flood of tears, but it’s uncommon enough that I still feel safe when choosing my books. Gosh, I love that question. I don’t know if you are aware of the happenings in France, and it doesn’t really matter, because all French presidents, past and future, would benefit from reading it anyway, but I think the government really needs a copy of Politics for Dummies right now. As soon as my blog duties are over, I will settle on the couch with Portmanteau by Paul T. Beardow. And anyone who is in the mood for a tag 🙂 Also, feel free to ignore, as usual. 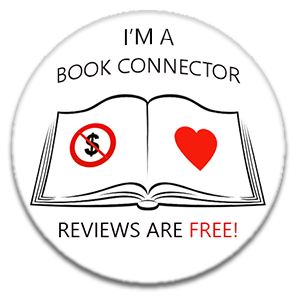 Friday, May 27th: Review of The Winner’s Curse or a review of a Hyped-Up book of your choosing. I did try. I swear. But some books are just not for you. I cannot review The Winner’s Curse because I could not bring myself to finishing it. But I can tell you why I chose to DNF if. First of all, The Winner’s Curse was never my favorite choice for the book of the month. I did not let that bother me, though, because I recently learned I could enjoy book that screamed “I’m not your type!”. I try to implement the same rule I apply to covers. Love at first sight is uncommon, a cover, a genre or a -meh- blurb should not prevent you from giving a book a try, even though the better the blurb, the higher the chance I pick it up. But that’s a subject for another post. So, why did I give up at page 101? #1 No connection whatsoever with any character. I can’t say the characterization is so bad that I did not care for anyone, but I found it superficial enough for me to miss an element that would have made the magic happens. I never warmed to anyone, nor did their actions spark any reaction in me. The auction felt rushed and I could not figure out the motivations behind Kestrel’s decision to buy a man. I would have appreciated knowing Kestrel a little better to fully understand what happened and how it affected her. #2 The blurb promised me a richly imagined new world, but I only caught a glimpse of it, the story being more focused on the beginning a love story than a proper world building. Maybe it comes later in the book, but it was too late for me. I wanted more explanation, a better description of the world they were living in. I was expecting a fantasy with a bit of romance, not a love story with bits of fantasy around. #3 Nothing happened. Playing cards, wandering around a market and attending parties was not enough to keep me interested. I expected some action, but all I got was a girl playing the piano. It might feel a little light to DNF a book, but if you cannot find a reason to like any character or care about the plot, I don’t see the point in reading the story. Did you read The Winner’s Curse? Did you find it worth the hype? Diana Jager is clever, strong, and successful, a skilled surgeon and fierce campaigner via her blog about sexism in medicine. Yet it takes only hours for her life to crumble when her personal details are released on the internet as revenge for her writing. Then she meets Peter. He is kind, generous, and knows nothing about her past—the second chance she’s been waiting for. Within six months, they are married. Within six more, Peter is dead in a road accident, a nightmare end to their fairy-tale romance. But Peter’s sister Lucy doesn’t believe in fairy tales, and tasks rogue reporter Jack Parlabane with discovering the dark truth behind the woman the media is calling the Black Widow. Still on the mend from his own relationship wounds after a turbulent divorce, Jack’s investigation into matters of the heart takes him to hidden places no one should ever have to go. The last week has been eventful, which never leaves much room for reading. My holiday ends with May, so I’ll try to make the most of it by reading and changing my blogging habits a little. Envision Lauren Weisberger’s The Devil Wears Prada in the high-drama, estrogen-infused world of cosmetics, and you have What Pretty Girls Are Made Of—a hilarious debut novel from a writer who’s lived it. After living in New York City for four years and reaching a dead end on her acting career, Alison Kraft needs a new role—time for a career change. When she reads about the world-famous Sally Steele Cosmetics studio, Alison quickly swoops in to make a good impression and lands a job as an assistant to the diva herself. Surrounded by fantastic new hues of blushes, eye shadows, and glosses, Alison loves her new job and the new swag. Even better, she discovers she’s actually really good at it! But in the midst of juggling her love life, crazy family members, and the grueling demands of a jealous, flaky boss who could put Miranda Priestly to shame, Alison starts to question her choices. How long before the pretty face cracks for good? Big disappointment. From now on, I will only listen to my lovely bloggers’ recommendations. There is no way I am listening to an actor when it comes to books ever again. You can find the review here. I really wanted to like it. Or at least find one thing that would keep me reading, even though I couldn’t find the story all that interesting. But I don’t feel like forcing myself any longer. I managed to read 100 pages, which is an exploit because I did not connect to the characters or the plot. I won’t go any further because there are a thousand books I am dying to read and I hate wasting time. I am only sorry I won’t be able to review it the for Hype or Like Friday meme. I am now putting a lot of pressure on this book. It has the difficult task to entertain me while I supervise the renovation of our place. So far, it’s doing a great job! The First Harry Macadam Novel: After a body is pulled from the river Aire, what seemed like a straightforward missing person’s search becomes something much more dangerous for psychic investigator Harry Macadam. Harry and his team from the Portmanteau Investigations Agency are rapidly drawn into a web of intrigue and find themselves being watched by both the police as well as a darker, more mysterious adversary. The hunt for the missing woman leads them towards a criminal underworld that few people know about. Anyone that gets close to the truth doesn’t live to tell and a similar fate awaits an unknowing Harry as he uses his uncanny mental abilities to peel away layer after layer of secrets and lies. To prevail against the utter evil that lurks in the shadows around him, Harry must not only discover a horror beyond anything he could imagine, but also confront the demons that hide inside him. For Harry has his own secrets. Ones that he himself doesn’t even understand the full truth of and on those hidden truths rest the fates of dozens of souls. Who is the real danger? The killer that he seeks, or Harry himself? I came across this book thanks to Inge @ The Belgian Reviewer, whose review had me extremely intrigued. I am a very down-to-earth person but there is something about this story that attracts me, so I am willing to give it a try. My will won’t disappear as long as I don’t look at that creepy cover for too long. What are you reading this week? Do share in the comments! Sundays are great for tags. Sundays are boring. Sundays like to make fun of you by ruining your plans with the worst weather of the week. Sundays are long. Tags are fun. Tags are a great excuse to sit in front of your shelves and stare indefinitely at them in search of the right answer. Tags make time fly so fast that once you hit the publish button, it’s 7pm and people are yelling at you because they’re starving and you’re the only one who knows where the oven is. Thank you to The Bookish Underdog for nominating me! 1. INITIAL ATTRACTION – A book you bought because of the cover? I was drawn to Passenger because of its cover. This was before I started taking risks with my book choices so I was very hesitant about buying it. Thankfully, it was chosen as the book of the month for the Hype or Like Friday, which was the final push that helped me make the decision. Regardless what you think of the story itself, that cover is beautiful. 2. FIRST IMPRESSIONS – A book you bought because of the summary? The average person is awake for sixteen hours a day. 3. SWEET TALK – A book with great writing? David Meredith’s writing is so lyrical it transports you right to Snow White’s castle. I loved the images, the sound of the words ringing in my mind, everything about it. 4. FIRST DATE – A first book in a series that made you want to pick up the rest? It has to be The Maze Runner. I am dying to read the next books. Hubby bought them this week and we’re expecting the book mail to arrive very soon. This reminds me I still have to write my review for The Maze Runner. Oops. 5. LATE NIGHT PHONECALLS – A book that kept you up all night? Black Widow. I just could not put it down. It was totally worth looking terrible the next day. I may have had puffy eyes in the morning but there was a smile on my face. I swear. Even though no one could see it from beyond my tea mug. 6. ALWAYS ON MY MIND – A book you couldn’t stop thinking about? This story about a little boy who lost his father moved me so much that it stayed with me for a long time. I kept many quotes from the book. Some of them are on post-its over my desk. It is filled with so many emotions, it is impossible not to feel anything while reading it. 7. GETTING PHYSICAL – A book that you love the feel of? This is my very first edition of Harry Potter. The 1999 French version of the story who touched so many of us. Yes, I am being emotional today. But the point is I love the yellow pages and the old scent of this book. I used to carry it around everywhere so I am surprised it is still looking pretty good. 8. MEETING THE PARENTS – A book you’d recommend to family and friends? I’d recommend the slap, to remind everyone that all families have problems. I really enjoyed witnessing that bunch of family and friends struggle to cope with the events. Did I mention I love books studying human relations? I love them. Very very much. 9. THINKING ABOUT THE FUTURE – A book/series you know you’ll reread many times in the future? I have already used my Harry Potter card, so I will go with my all-time favorite classic, 1984. I am pretty sure this is the only mandatory book I have actually enjoyed reading. In fact, I loved it so much I did not want to return it to the library. It looked great on my desk. Note to myself: buy a copy and reread it twice a year. 10. SHARE THE LOVE – Who do you tag? When Do You Consider a Book to Have Reached Hype Status? This morning, I received confirmation my wish has been granted! For my final year as an undergraduate, I will be majoring in English! This is a huge step for me. If you were around when I started blogging, you might remember changing majors was among the goals I was hoping to achieve in 2016. Now that it is happening, I don’t know how I feel (I stopped jumping on the couch only a few minutes ago), but I wanted to share it with you. For the story, my former degree involved both the English and the Japanese languages, the emphasis being on Japanese and a series of minors such as Law and Economy. It was fine until I realized my passion for the English language was only getting bigger and the only time I was really happy to study was when I was working on it. It is quite uncommon for a student to be allowed to change majors for their final year at university. At least in France. This is why I am celebrating today! Before I get all excited again and run out the door to let the world know about this big news, I wanted to say thank you to all the bloggers who have been extremely supportive and nice to me. It can be difficult not being an English native speaker in a community where the majority of people are, but you have never make me feel out of place, and your kind words dismissed the insecurity I felt sometimes. So, I am sending virtual hugs as a token of my appreciation. I am aware waffles would have had a greater effect, but I have yet to find a way to send food through WordPress. Flooding does not get along with reading. My mom’s hot water tank broke last weekend, forcing us to cut short our stay in the countryside and drive back to Bordeaux. We got home to find a pipe had broken, turning our floor into a tiled swimming pool. I now believe I am cursed and will not go near any source of water. I said goodbye to my bathroom and to my reading time. As I am writing this, nothing is fixed, and I’m about to lose it!